Sunbeam 13-Piece Cutlery Set Just $4.87! You are here: Home / Great Deals / Amazon Deals / Sunbeam 13-Piece Cutlery Set Just $4.87! Amazon has this Sunbeam 13-Piece Cutlery Set for just $4.87! Plus you can get FREE shipping on orders over $35 or if you are an Amazon Prime Member. Please keep in mind that his item is an Add-on so you must check out with at least $25 in your cart. 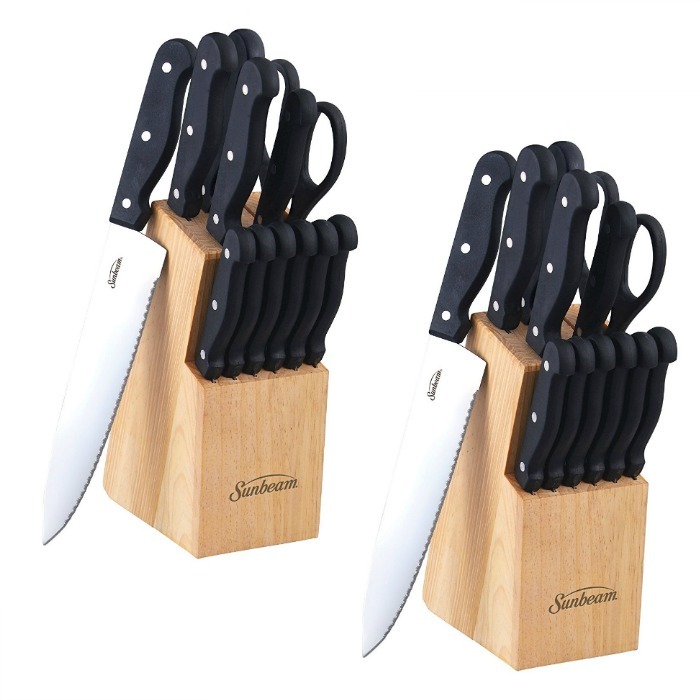 From prep and steak knives, to starter and Santoku sets, Sunbeam has the cutlery solution that always gets the job done, and the Wesmont chef’s knife block from Sunbeam is no exception. With stain and rust-resistant knives that never need sharpening, you’ll be up to completing any food prep task in style.